the right amount of features without overwhelming the user with too much complexity. Mindomo is our flagship product. 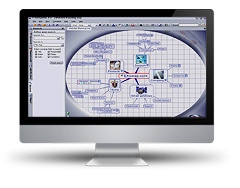 It is a mind mapping application and service. We first released it in February 2007 after which we released small updates nearly every month. Mindomo is about sketching your ideas, juggling them, turning them upside down, and if necessary changing them, in order to have a better understanding and more clarity in your thought process. Mindomo follows your mental model, providing the right context for the development of your ideas and plans. Mindomo is a general purpose tool and as such one can utilize it in many ways. In the hands of an expert it can be a powerful tool, but even as a beginner you can find numerous ways of handling your ideas and using them like an expert. 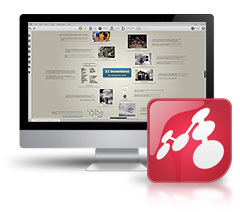 Our first product I-Navigation was meant to be a better visual information organizer. At the moment this product is in maintenance mode, no longer being actively developed, but representing an important milestone in the development of Mindomo.